Tasmanian actor Jaason Simmons (pictured) has moved on from the ill-fated Paradise Beach and joined the cast of the hit American series Baywatch. Simmons plays the part of lifeguard Logan Fowler who joins the squad as part of a lifeguard exchange program with Australia. “Basically I’m there to cause conflict,” he told TV Week. “I’m an unconventional lifeguard and people I work with may not like me, but I do my job well so that’s why I’m staying. In fact, now that I think about it, no-one can stand me!” Simmons had first made the move to Los Angeles three years ago, collecting garbage in order to pay for acting classes and managed to score a minor part in Beverly Hills 90210 that ended up on the cutting room floor. He returned to Australia where he picked up the role of Harry Tate in Paradise Beach and also a role in the short film Page 73. He was working on Page 73 when he was told he had the Baywatch part. “I was a bit concerned after seeing this show and wondering what everyone would be like,” he said. “People think that ‘beautiful people’ can be hard to get along with, but everyone welcomed me with open arms… it is like a family.” Simmons’ appearances in Baywatch are due to begin airing in Australia later in the year. Husband and wife actors Denis Moore and Val Levkowicz often end up working together — but it’s always by coincidence. This time the pair are working beside each other in ABC‘s Janus, with Moore as County Court Judge Grossman and Levkowicz as his associate, Rose Lipski. Yet they auditioned for the roles separately. 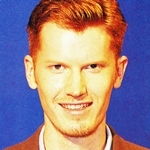 “When I went to audition for Janus, Denis read opposite me — not the same role he ended up getting,” Levkowicz told TV Week. Moore added, “She got her part, and then I was asked to audition for the role of Grossman.” The pair have also worked together as married couple Ross and Bev Roberts in the sitcom Newlyweds. “No-one on the Newlyweds set even knew we were married in real life until a few weeks after we started,” Moore said. Attitude reporter David Hannam (pictured) thought he had become a fully-fledged celebrity when he was asked for an autograph by a crowd of schoolchildren in Adelaide. His ego bubble was soon burst when he realised that the excited crowd thought he was AFL footballer Ben Hart to whom Hannam bears a striking resemblance. Alex Dimitriades, the leading star of Ten‘s Heartbreak High, will be making his last appearance in the series at the end of the year. With co-star Sarah Lambert also leaving it means the movie premise that inspired the series — the teacher and the lovestruck pupil — will no longer be in the show. Kym Wilson, Simone Buchanan and Marcus Graham are tipped to star in the upcoming Melbourne production of the play Desire. 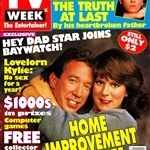 The show’s Sydney season starred Dee Smart (ex-Home And Away) and Chris Mayer (ex-Hey Dad). This week marks the debut of Banjo Patterson’s Man From Snowy River. The 13-part series cost $11 million to produce — reported to be the most expensive drama produced in Australia to date. Saturday: The Women’s National Basketball League Grand Final is live from Melbourne (5pm, ABC). In A Country Practice (5.30pm, Ten), Jess (Jane Hall) befriends a little girl with a dream to become a vet, while Maggie (Joan Sydney) discovers the art of making plaster moulds and Ian (Paul Gleeson) makes the perfect model. Sunday: The Preliminary Final of the Winfield Cup Rugby League is broadcast live (2.50pm, Nine) with highlights later in the day (6pm, ABC). Our World With Glenn Ridge (6.30pm, Nine) presents a documentary on the Great Ocean Road, presented by Melbourne newsreader Brian Naylor. Sunday night movies are The Addams Family (repeat, Seven), White Hunter, Black Heart (Nine) and Shining Through (Ten). Monday: In Home And Away (7pm, Seven), Jack’s (Daniel Amalm) luck with his string of girlfriends finally runs out. Tuesday: In Blue Heelers (7.30pm, Seven), a farmer’s niece returns to Mount Thomas to help her family retain their property which they could lose due to an ancient law. In GP (8.30pm, ABC), Kate Morrison (Deborra-Lee Furness) consults William (Michael Craig) seeking a double mastectomy as a preventative measure against breast cancer. In Law Of The Land (9.30pm, Nine), Clive (Richard Moir) questions Ray (Mike Bishop) about lying the night he was at the hotel. Wednesday: In Wedlocked (8pm, Seven), Lex (Richard Piper) gets romantically involved with a member of the Salvation Army. Thursday: In Neighbours (6.30pm, Ten), Debbie (Marnie Reece-Wilmore) has become more withdrawn and believes she can’t face Julie’s (Julie Mullins) funeral. Australian Biography (7.30pm, SBS) focuses on author Nancy Cato, whose most famous works include All The Rivers Run. Ray Martin Presents (8.30pm, Nine) features an interview with Olivia Newton-John (pictured with Ray Martin) who reveals the highs and lows in her personal and professional life, including her recent battle with breast cancer. Alyce Platt guest stars in legal drama Janus (8.30pm, ABC). 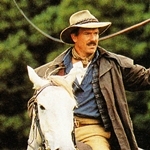 Friday: Drama series Banjo Patterson’s Man From Snowy River (8.30pm, Nine) debuts with a two-hour episode, starring Andrew Clarke (pictured), Wendy Hughes, Guy Pearce, Victoria Tennant, John Stanton and Brett Climo.